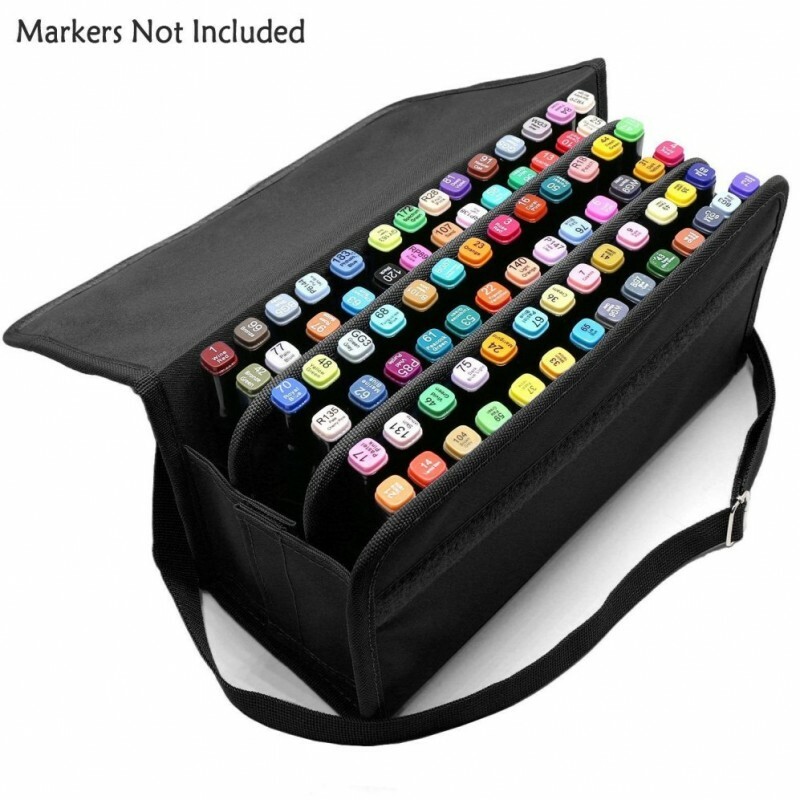 HIGH CAPACITY - Marker Pen Case is made of durable oxford fabric with total 80 individual elastic holders for lipscense tube, marker, highlighter, fat color pen / paint brush. 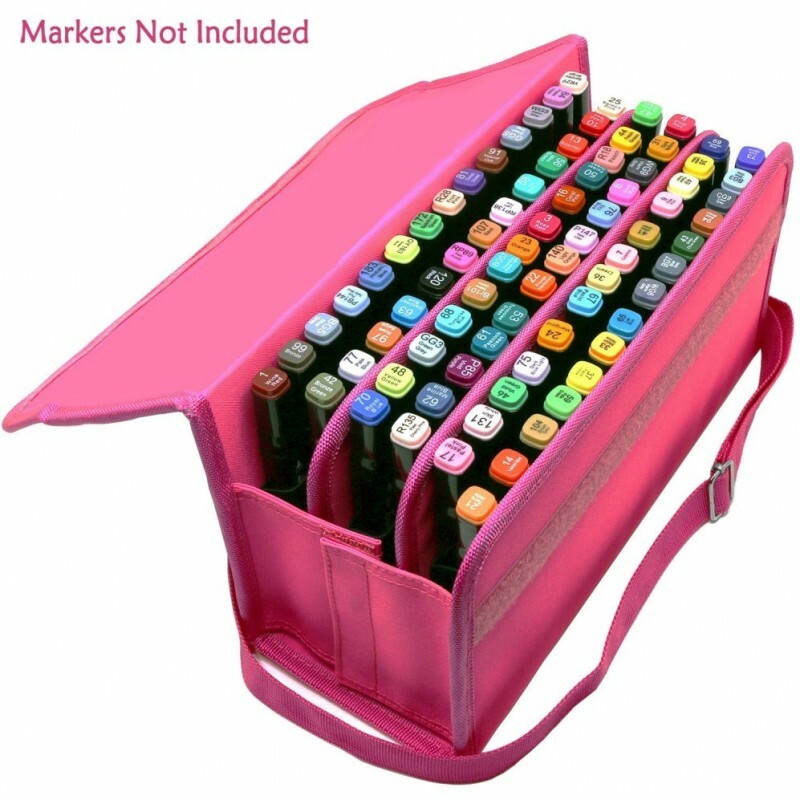 WELL ORGANIZED - Each highlighter, marker or fat brush has individual elastic holder. 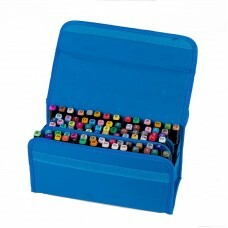 Keep your art, office or cosmetic supplies well organized, easy accessible and better protected. 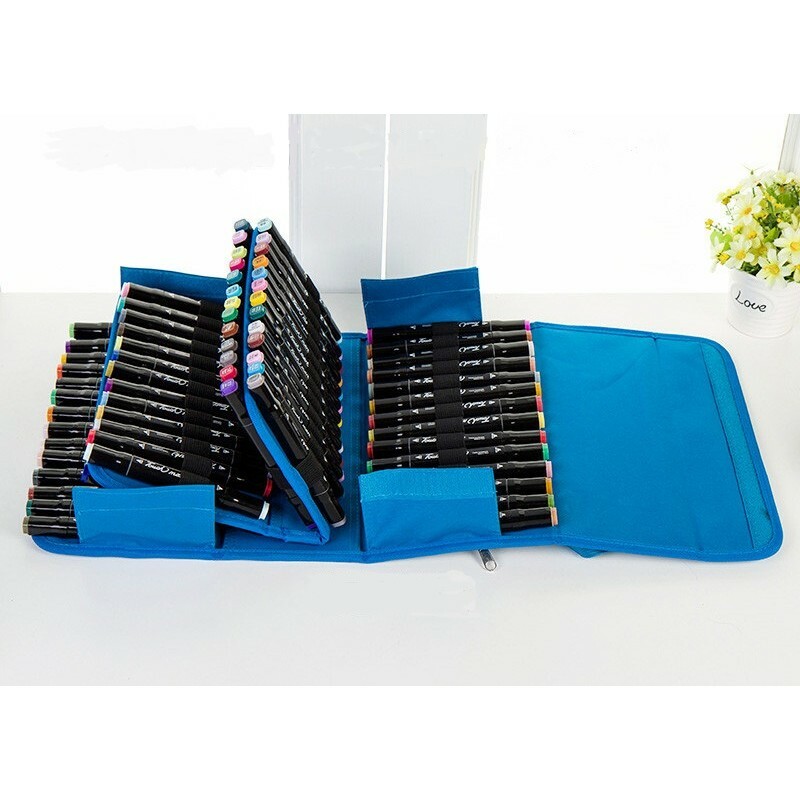 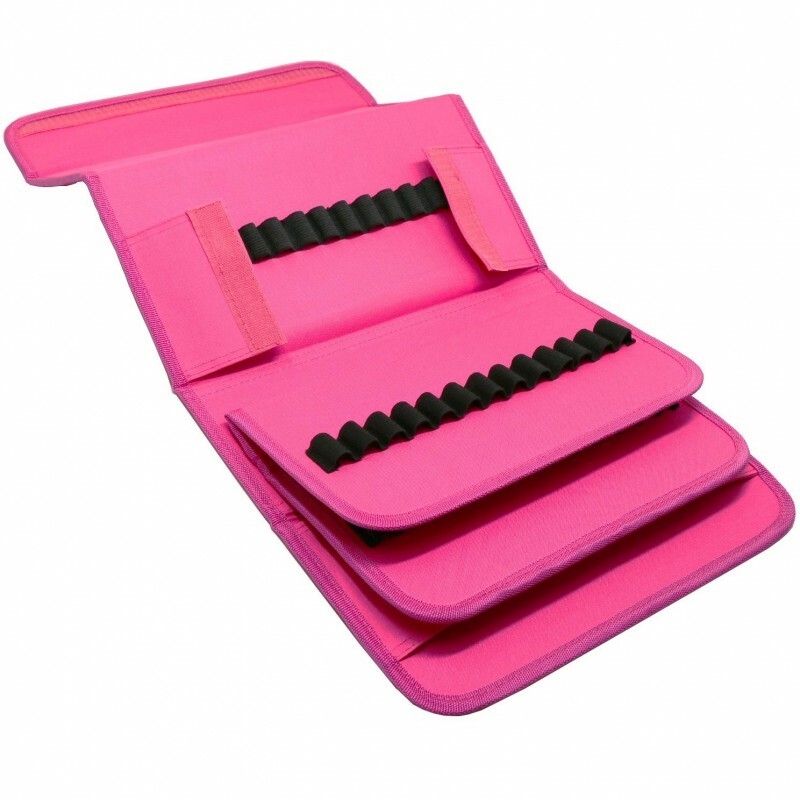 MULTI-PURPOSE - Ideal case for art, office, makeup supplies. 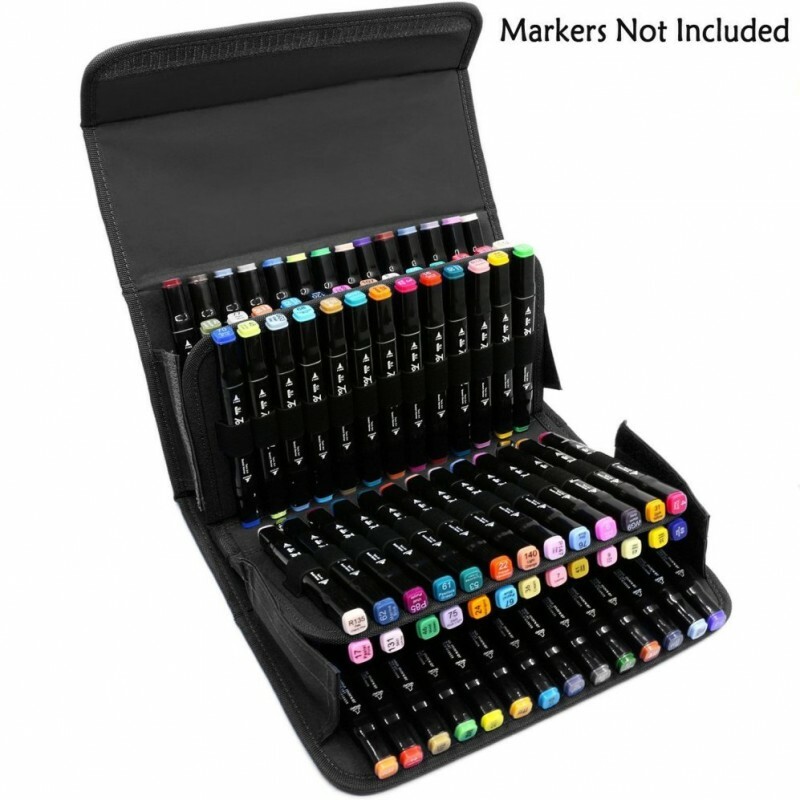 Hold various tool: copic marker, dry erase marker, liquid chalk highlighter, repair marker or lip scense, lip gloss or glaze. 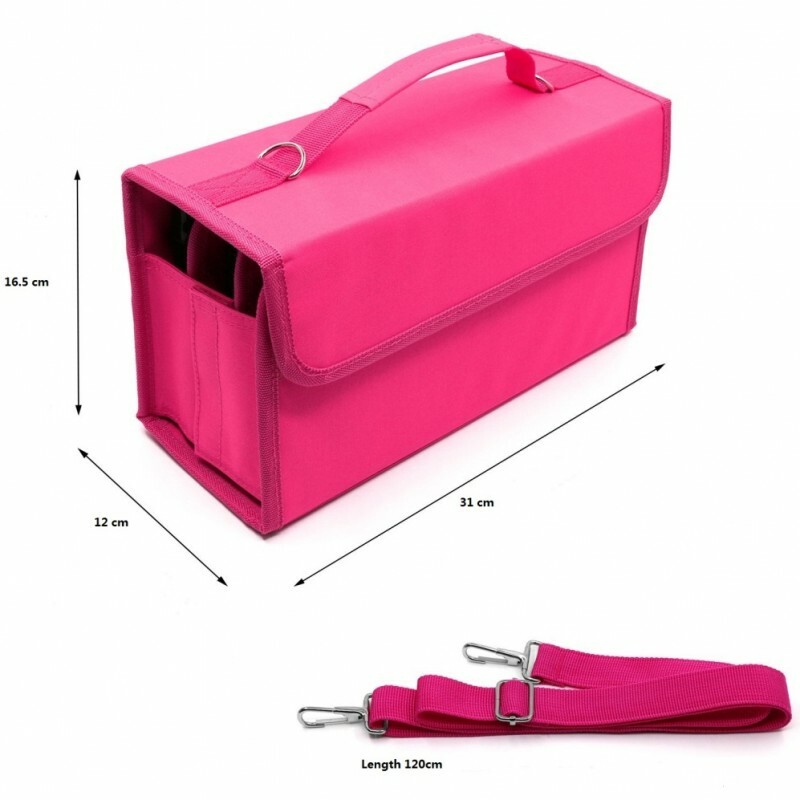 PORTABILITY - Hand strap and adjustable, detachable snap hook shoulder strap design, makes it very easy and convenient to carry anywhere for travel or outdoor work.